Two important pieces written this week on the Impact of undercover involvement with activists, by Ellie Mae O’Hagan and Emily Apple. I’ve taken a few quotes, but go read them in context! Ellie Mae O’Hagan wrote a Comment is Free piece ‘A life under surveillance, the state’s constant intimidation of peaceful activists like me takes a huge psychological toll on our lives.’ The Guardian, 1 november 2012. She is @MissEllieMae on Twitter. Occasionally we read stories of undercover officers, or police intimidating campaigners in their homes or sending threatening letters; but rarely do we talk about the psychological toll this takes – that a feeling of constantly being watched is an invariable factor in the lives of people who take part in protest. Often activists are depicted as being like the mafia – part of an underground coterie that is somehow separated from ordinary life. It’s a depiction that makes constant surveillance seem acceptable, perhaps even justified. But activists are just ordinary people who work, watch TV, and drink too much at the weekend, just like anybody else. After police unlawfully visited me at my home following a protest to tell me they were “watching me”, I still jump every time my doorbell rings. More seriously, I have female friends who are reticent about relationships in case the men they are sleeping with are not who they say they are. One person whose campaign group was infiltrated told me the reason it often takes activists a while to spot undercover officers is denial. “It’s just too horrible to contemplate that every memory you’ve shared with that friend has been a lie,” she said. Last evening, I was meant to edit some gut reactions and questions I have about Martin into something resembling a blog post. However, I got distracted by Ellie Mae O’Hagan’s CiF on the psychological damage police surveillance and intimidation can cause, and it inspired to me to edit down a piece I wrote several years ago about my breakdown in 2002. Looking after, and acknowledging the mental health problems activism can bring is vitally important. It is very easy to dismiss our problems, feel guilty because there’s so much to do and there’s so much suffering in the world. Often we don’t give ourselves enough time to process the trauma we experience, and this in turn can lead to serious and long lasting mental health problems. This piece is about my first proper breakdown in 2002. 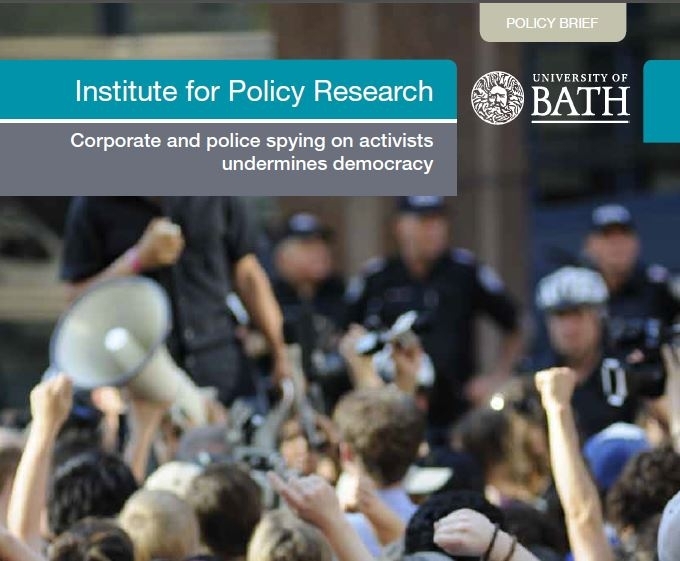 Chronologically this occurred about two weeks after a previous post I published last year about the Queen’s jubilee, and as I wrote then it was a time of intrusive policing with Forward Intelligence Teams working on a direct mandate to deter protesters. Somewhat naively, I was using a very personal diary as a coping mechanism, acting tough on the streets and processing my feelings through self-obsessed prose. Knowing the cops had read my insecurities and vulnerabilities was one of the final straws for me, and it took many years for me to reclaim my writing. Like so many of my arrests over the years, the charges from this particular incident were dropped before trial (and I eventually accepted a caution for disrupting a public meeting). (Also see my earlier blog Emily Apple writing about Martin Hogbin).